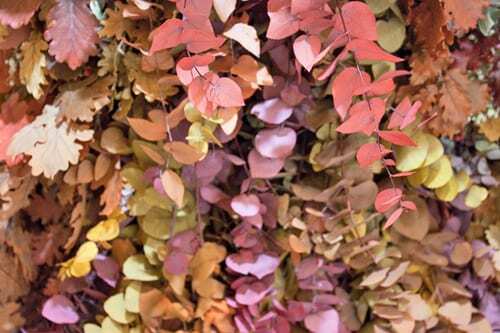 This week’s Wedding Wednesday blog post features images of Todich Floral Design’s stand at the National Wedding Show at Earl’s Court in London last month. 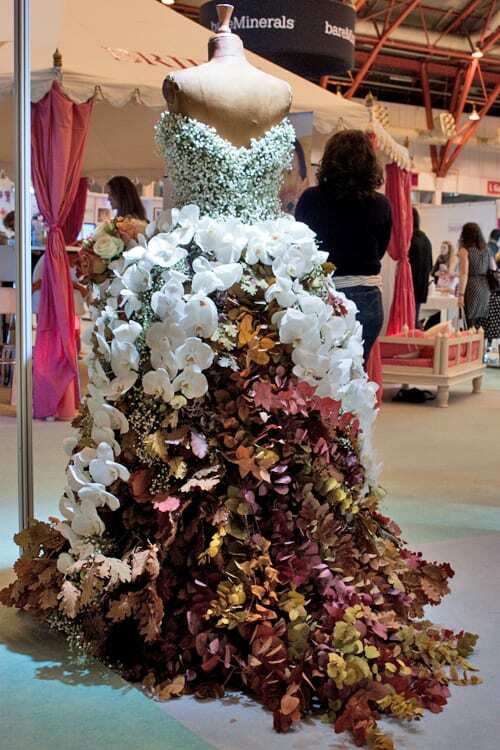 They had created a stunning autumnal floral dress, which took pride of place at the entrance to the show. Chicken wire was used to create the framework of the dress design and into it, English moss was woven. 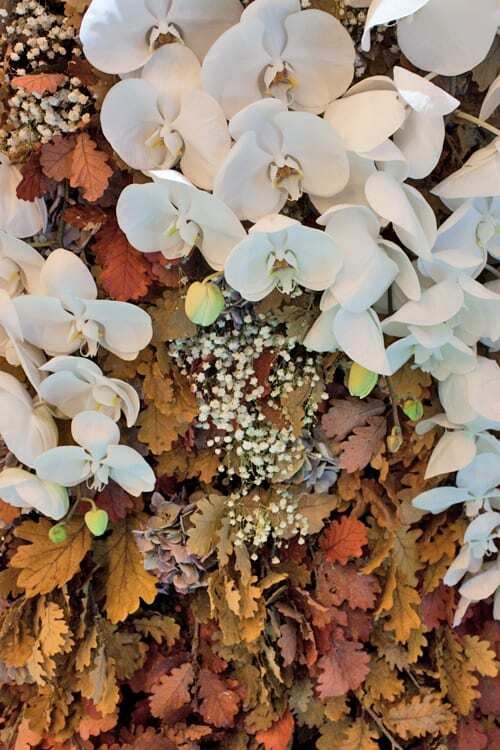 It was then decorated with white gypsophila, white phalaenopsis orchids and preserved oak leaves. 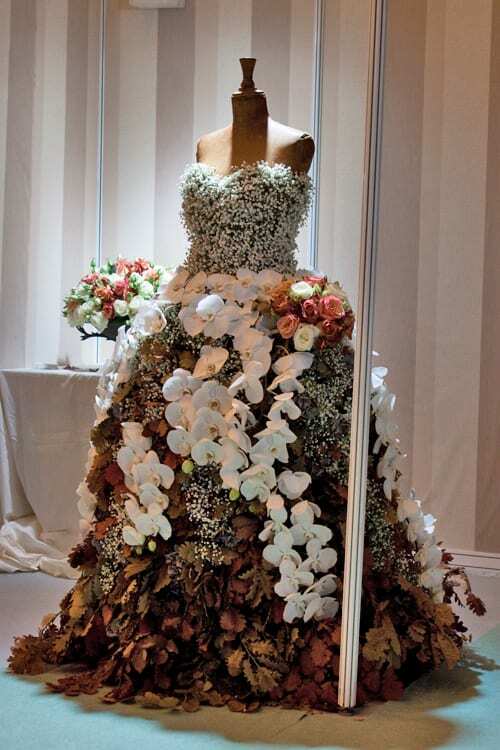 As part of the display, they had designed a wedding bouquet using orange and cream roses, to suit the autumn season and complement the dress. 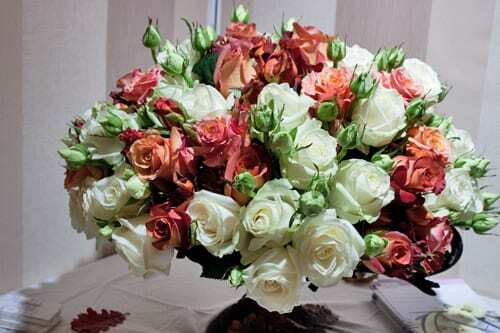 They’d also created a beautiful urn tablecentre, brimming full of roses in a similar colour palette. 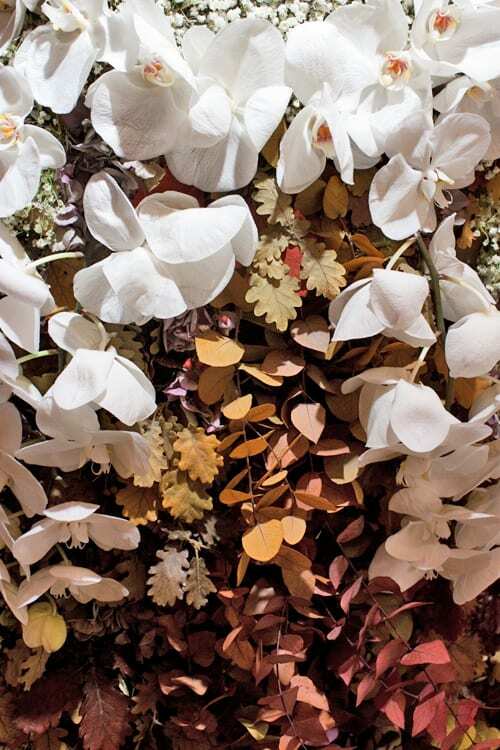 If you’d like to see more of Todich Floral Design’s work, please do visit their website. I hope you’ve enjoyed reading today’s blog post, together with the others from the show featuring WildAbout and Foxgloves & Roses. 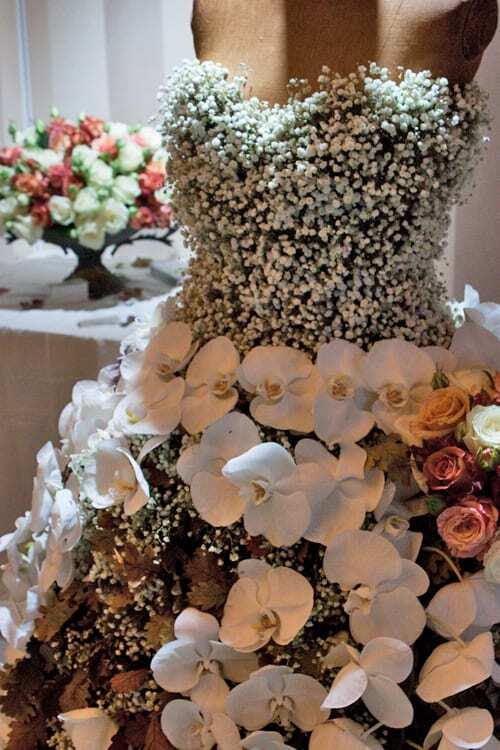 Next Wednesday, I’ll start to share with you my images of the florists’ stands at Brides the Show, which took place last weekend. 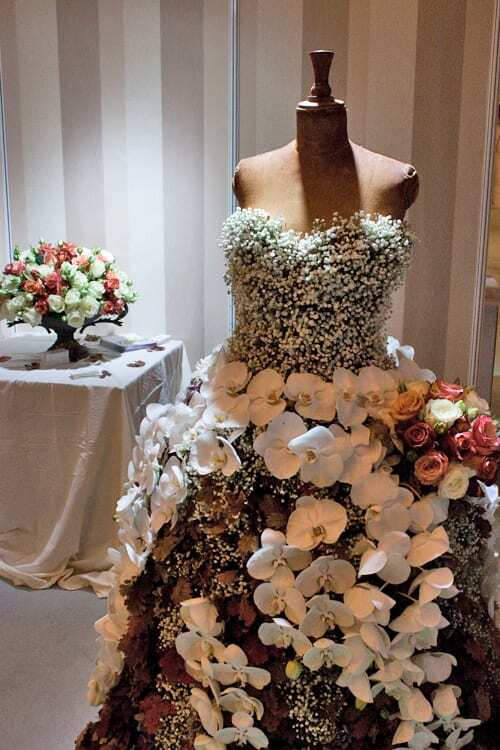 Thank you so much for writing an article on our flower dress! We are absolutely thrilled you loved it and we were happy with the response from the brides too. We wanted to do something a little different at this year’s National Wedding Show and already look forward to planning next year’s design. You’re very welcome Annalie. Thank you for sharing it with your followers :-).